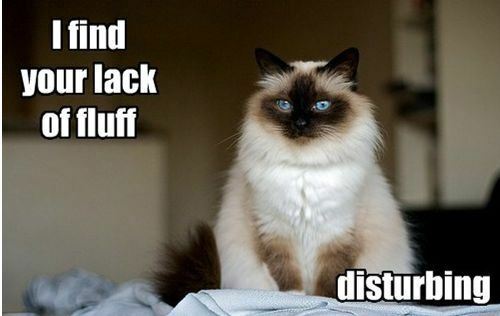 Future Twit: Kitty: I Find Your Lack of Fluff ... Disturbing! In homage to Star Wars, we have yet another cat who likes to quote lines from the movie ... or so the creator of this picture would like you to believe.